This article first appeared in The Edge Financial Daily, on July 27, 2017. KUALA LUMPUR: AirAsia Bhd said its plans to list Indonesia AirAsia (IAA) and Philippines AirAsia (PAA) are well under way and expected to be carried out by the first quarter of 2018. “That’s very much in progress. Indonesia is probably ahead of Philippines but both are going to be listed. This gives us the currency to look at combining into one AirAsia, which is my ultimate dream. “Let’s just say they will be listed within this year or the first quarter of next year,” said AirAsia group chief executive Tan Sri Tony Fernandes on the sidelines of Invest Malaysia 2017. He said that while the market was bearish on IAA and PAA when the two units were in the red, the group still saw great value in both of the companies. 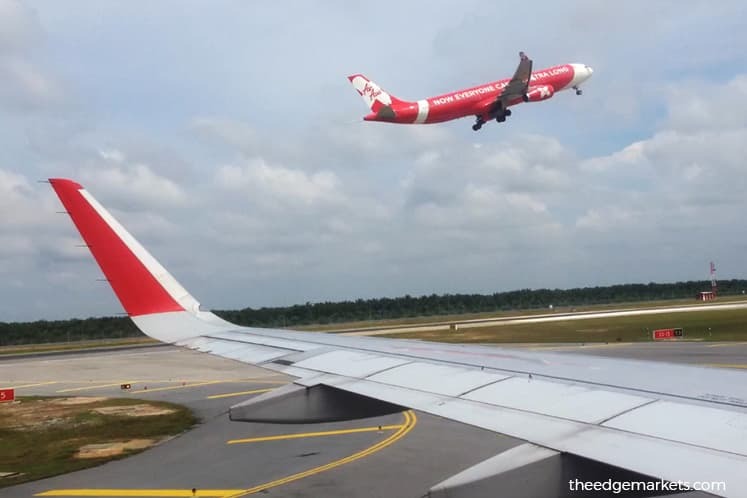 “I’ve highlighted to the market that AirAsia is not a company that takes short-term decisions, while the market was telling us to close down the Indonesia and Philippines units. “We’re a company that takes a long-term view and we invest for the long term. Not for short-term quarterly profits,” he said. In February, Fernandes revealed his “ultimate” plan to combine its Malaysia, Thailand, Indonesia and Philippines operations under a single, listed Asean holding company, following improvements in the operations of its units. On the group’s disposal of its aircraft listing unit Asia Aviation Capital Ltd, he said AirAsia is now working out the final details. “We are not being pushed to hurry the sale and we want to make sure that when we sell it, we are not burdened with extra costs. We are taking our time to make sure we have the best deal. “We are confident that it will be done this year,” he said. In March, news reports quoting sources stated that a South Korean group, Korea Transportation Asset Management, was in advanced talks to acquire a stake in the unit. Fernandes added that the group is also looking to monetise some of its other investments, including its training centre, the AirAsia Aviation Centre of Excellence, and its stake in AAE Travel Pte Ltd, a joint-venture firm between Expedia Inc and AirAsia. “I don’t believe the market would give us value for holding the investments. We may as well sell them and pay out dividends. “But we keep the relationship going. We are benefitting from low costs from the training centre, so we have fixed a long-term contract with [it]. For the next 20 years, we won’t have a change in training costs,” he said. Overall, Fernandes said the business environment is well, adding that oil prices have been stabilising. He said the impact of oil prices on AirAsia has been one of the main concerns of investors due to past volatility. “We don’t care about the prices, but as long as they are stable, it will be easier to manage the business. “Having said that, we also made money when the prices were high. At the moment, oil is stable and I don’t see it moving tremendously,” he said.